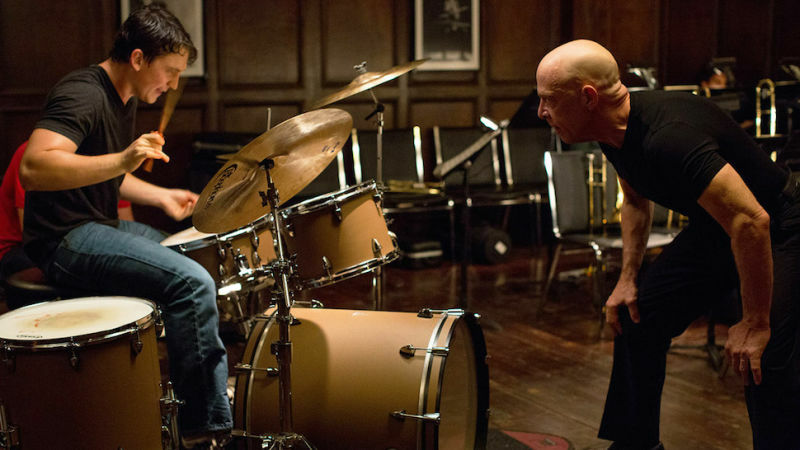 You don't need to know much about jazz to enjoy the new, much-buzzed-about movie Whiplash. You only need to think you want to be an artist. Which everyone in America, or at least New York, does, of course. Whiplash has a very simple premise: J.K. Simmons (the man from the State Farm commercials, The Closer, and Oz) plays a conductor from hell named Fletcher. He's sort of like Nurse Ratchet in jazz conductor form. And with his authoritarian ways, he has made the studio band at the fictional New York-area Shaffer conservatory his very own ward of insane asylum. Enter Andrew (Miles Teller), a student drummer who is determined to be a star, and the next rung on the ladder, is being the first-chair drummer in the studio band. And off we go on one of those mentor-protege movies like Stand and Deliver. Minus, crucially, the good intentions, on the part of the mentor. It's not precisely spoilery for me to tell you that. Much of the film's energy comes from the battle of wits between Simmons and Teller, who are well-matched as actors. And there is something about the chaos of the music they play, the unpredictability of it, which give it a suspense that goes beyond the question of whether Andrew will manage to become a great. I'll leave that question unanswered here. Suffice to say throughout everyone, which means the movie's vision of artistry makes it into a sort of Mortal Kombat. Nathan Rabin at The Dissolve (a great film site), praised the movie for its "aversion toward clichés and hitting expected beats," and I know what he means, in the this-is-not-Dangerous-Minds kind of way. But the film, by having the relationship between Fletcher and Andrew be so unrelentingly brutal, swiftly began to remind me of one of those triumph-of-the-human-spirit athletic films. Some others have noticed this, and likened Whiplash to Rocky. There is something disconcerting, though, about the way this movie makes artistry a matter of pure physical effort and practice. It tracks certain principles of American meritocracy, of course, the idea that if you simply put in the time you will earn the status. I'm not saying I have the precise formula for the alchemy of hard work and talent required to produce a great musician, or a great novelist, or a great filmmaker. 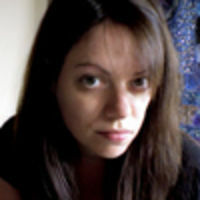 But I doubt a healthy sense of competition and physical drive are the sole engines. Perhaps they are the only two elements which can be taught, and thus be the subject of a movie like this one. Still I left the theatre feeling thoroughly entertained but also like I'd been at one of those parties, you know those awful parties, where two people got in some idiotic fight about who was the next Great American Novelist and nearly came to blows. And like I'd been watching in the corner, swept up in the drama of it, but ultimately thinking: "Okay, but guys: this isn't a game of King of the Mountain, this art thing." Even though to some people, it obviously is.